Today at The Debutante ball we welcome Christine Ieronimo, children’s book author. Her debut A THIRST FROM HOME recently released from Walker Books. I have always had a love affair with children’s books. It is the ﬁrst place I go in a book store. I can smell a best seller from a mile away and within seconds of holding it. Reading with my children was and is my passion. Trips to the library were frequent and taking out books from the children’s department was as much if not more fun and exciting for me as it was for my kids. Even though I became a nurse which afforded me the schedule to be home with my children when they were little, I always dreamed of writing my own children’s picture book. So A THIRST FOR HOME, my very ﬁrst book, is a dream come true. In 2008 I traveled to Ethiopia to adopt a little girl. I was overwhelmed with the poverty and also the beauty that I saw. The trip changed my life forever. A few days after our return, I found my darling daughter drinking from a puddle with cupped hands in our driveway. 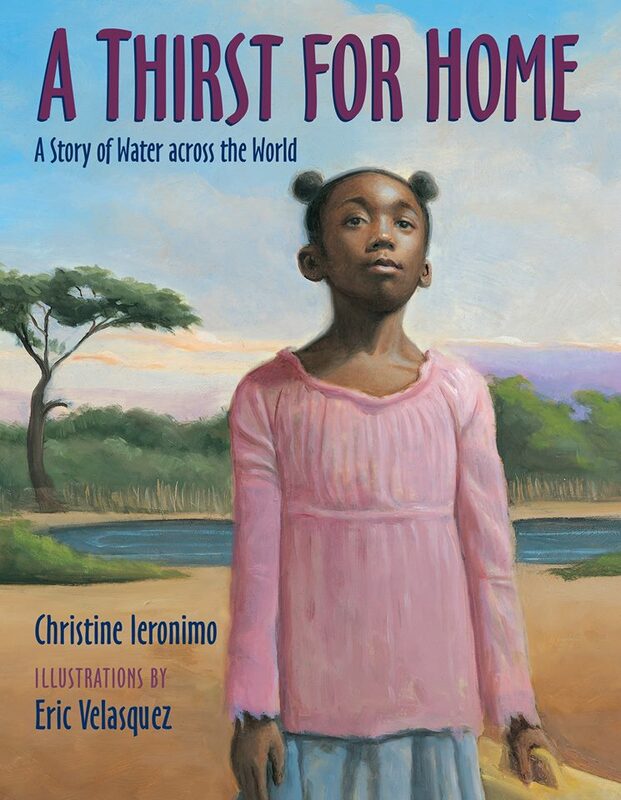 This was the inspiration for my Children’s book, A Thirst For Home, A Story of Water Across the World. I am passionate about the need for clean water in places like Ethiopia. It is my hope that children here will be inspired and want to learn about the problems of unclean water around the world. As I started sharing my story at schools and libraries, an amazing thing happened, They listened with wide eyes and big hearts. Children would approach me with tears in their eyes asking how to help, or bring in ziplock bags of change from their piggy banks wanting to donate to my cause. The story was embraced by students teachers and parents wherever I went. 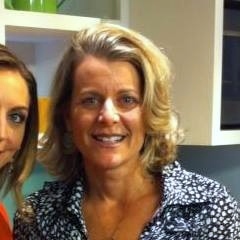 Find Christine at her website or on Facebook. Christine elected to take our Deb interview. AND, she’s giving away a copy of A THIRST FOR HOME (details below). Take it away, Christine! What’s a book that made an impact on you? The Unlikely Pilgrimage of Harold Fry by Rachel Joyce. There is no rhyme or reason why some books touch some people so profoundly and others not much at all. That is the case with this book that I have read three times so far. Its pages are filled with highlights, underlines, stars and dog ears. I keep it next to my bed. It is about the journey of an ordinary man named Harold Fry who walks across England to see his friend Queeny. To me, the story is about self-discovery, transformation, redemption and hope. I have cried every time I have read like it is the first time. I think the reason this book is so meaningful to me is because I see similarities with my children’s book, believe it or not. It also makes me look at my own journey. It is about second chances, and in a world where we all struggle sometimes to get through a day and do the best we can, a second chance is something we all deserve. I love this book and that is that. Tell us about your own twisty road to publication. My rejection from Candlewick Press was harsh, mean, and just downright rude, and the reason I have a published children’s book!! After submitting my original manuscript, the rejections came in steadily. They were for the most part brief and polite until a personal letter came from a brutally honest editor at Candlewick. My agent actually did not mean for me to see it, but I’m glad I did. In a nutshell, she let me know that I had pretty much wasted her time with a manuscript that wasn’t worth the paper it was written on. OUCH. I stewed for weeks and plotted my revenge until one day I reread the letter and decided that she was right. It was only then that I completely took apart, rewrote and resubmitted a much better version, but not to her. The story was lacking but now it is complete. I hope to thank her someday! Share something with us that we don’t know about you. I read magazines back to front. I can’t read them the correct way. So weird I know. It just feels right that way, releasing the pages from its thickness with my left hand … Sitting on a beach reading my magazines backwards is home for me, ahhhhhh. 1. Chapstick, unlimited. I am addicted. I have been known to go out to the car in the middle of the night to retrieve one. 2. My necklace/medallion of the Virgin Mary and Jesus made of Venetian glass from the Vatican and blessed by Pope Francis to keep me safe. 3. A journal and pen so that I can write about my daily experiences because I am sure something would happen that would be story-worthy for a future children’s book. Have you ever accidentally read a message you were not meant to see, or perhaps overheard a conversation that you weren’t meant to hear? What happened? GIVEAWAY! Comment on this post by noon EST on Friday, June 6th, to enter the giveaway form A THIRST FROM HOME. Follow The Debutante Ball on Facebook and Twitter for extra entries—just mention that you did so in your comments. We’ll choose and contact the winner on Friday. Good luck! Welcome, Christine! I’m of the opinion that all of us privileged citizens of the United States should travel to a third-world country at least once. My first experience was revelatory. We are very isolated here in the United States and it is easy because we are so big. Sometimes I think we forget that there is a whole world out there with wonderful and exciting differences, rich and poor. Traveling to a country like Ethiopia has taught me that given those differences, people all over the world are actually quite the same and have the same hopes for happiness and success despite their situations. It has also taught me that happiness does not come from an accumulation of ‘stuff’. All of the material things we strive to have really mean nothing at the end of the day. Kindness and love matter most. Congratulations on your book release! What an amazing story behind what inspired it. And kudos to you for taking rejection as motivation to make your story better. We’ve all been there! I always tell people that as hard as it is, embrace criticism. Welcome to the Ball, Christine! Thanks for posting with us! This book, and your own journey to adopt a child, both sound magical. Living in Spain, where people are worried about one day becoming the Upper Sahara, we are very aware of how precious water is, something often taken for granted in the US. So glad your story is building awareness in kids! Thank you so much for being our guest, Christine, and for your devotion to opening children’s eyes and hearts to the plight of others across the world. I agree with Lisa that we are often sheltered here in the US, but books like yours can really spark a change in someone and help foster empathy and compassion.